Mayoral candidates Anthony Williams and Doug Oliver. YB Connected, a young professionals networking group in Philadelphia, is hosting "Network to End Hunger," a special event benefiting Philabundance, Thursday, March 12. The night will include live entertainment, mingling with about 400 business professionals and the chance to speak with two of the city's mayoral candidates. 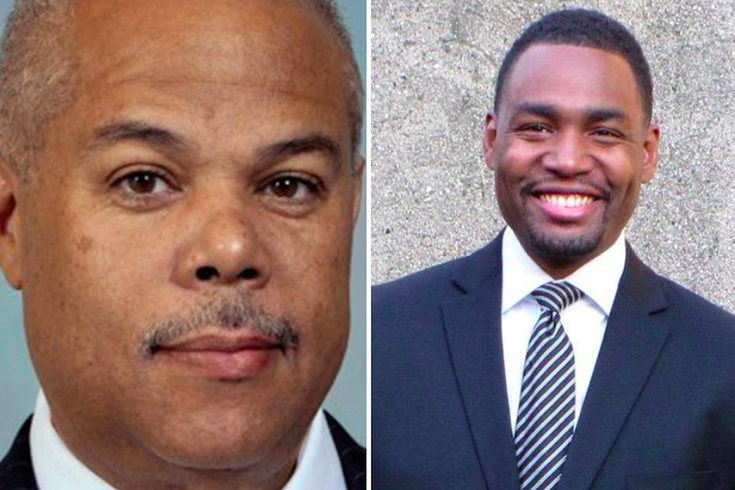 Doug Oliver and Anthony H. Williams will both be attending "Network to End Hunger," and will be open to discussing their platforms, goals and vision for the city with fellow attendees. This event provides the unique opportunity for young people to gather and discuss the issues facing our city while rubbing elbows with those who have the potential to enact change. President and founder of YB Connected, Matt Blank, and a representative from Philabundance will be in attendance, too. The Serman Band will provide music to dance to, and a pop-up hip-hop performance will have men and women in suits dancing among the crowd. Light fare will be provided, and a cash bar will remain open during the event. YB Connected is trying to change how millennials approach city politics. This event marks part of their mission to bring young people together and get them talking about how to make a difference. All attendees must pre-register by buying tickets online before the event.